Dublin have announced that manager Jim Gavin has agreed a two year extension to remain in charge of the team until after the 2019 championship. Gavin, who took over after the 2012 season from Pat Gilroy, won three All-Ireland titles in his first four years in charge and is aiming to complete a three in-a-row with Dublin in 2016. Dublin have only lost one championship match under Gavin, against Jim McGuinness' Donegal in 2014, while last month's league final defeat to Kerry was the first time that they didn't lift that trophy since he took over. Dublin have also won four consecutive Leinster championships during his tenure. Gavin has also won an All-Ireland title as a player, collecting a medal at wing forward when Dublin beat Tyrone in 1995. Before taking charge of the senior team, he led Dublin U21 to All-Ireland victories in 2010 and 2012. 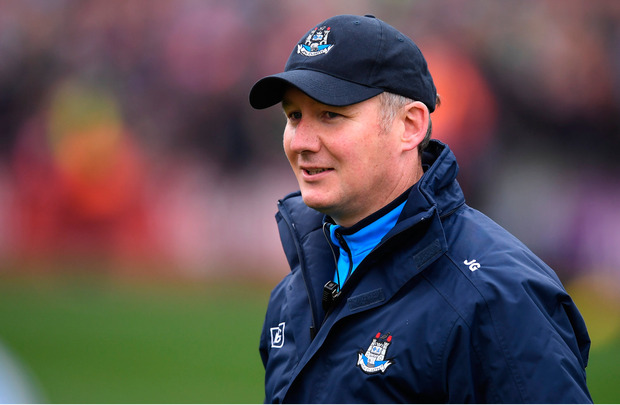 "We are delighted to announce that Jim Gavin has agreed to remain as manager of the Dublin Senior Football Team for another 2 years, until the conclusion of the 2019 championship," a statement on the Dublin GAA website said. "Jim and all of his backroom team have already contributed so much time & hard-work to the Dublin team and we thank them all for their continued efforts."